xuan33_store has no other items for sale. Model: MK2A. 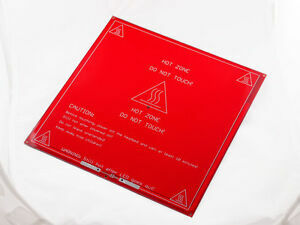 The PCB Heatbed 3D printer to heat the bed. Your sasifation is our final goal!, Our best service will let you 100% satisfy! If you encounter any trouble. I think we can resolve the dispute through friendly negotiations. 1.we only accept payment view paypal. It is fast, Easy and Safe. 2.All major credit cards are accepted through our secure payment processor PayPal 3.Payment must be received within 7 business days of auction closing.